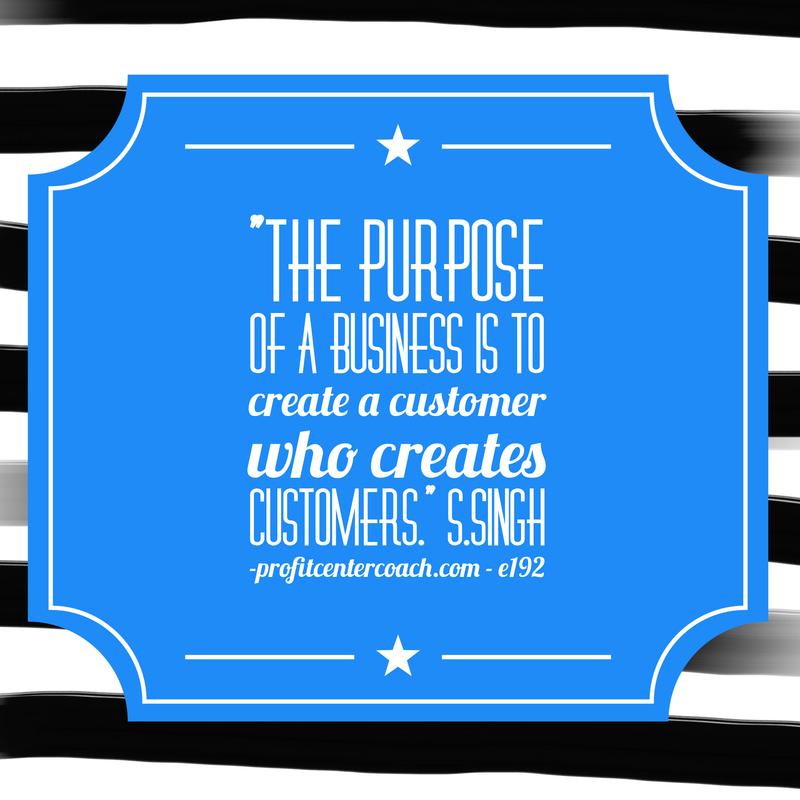 You can learn to create customers that create customers. It starts by recognizing your ideal customer. The way to determine your ideal customer is to think of your ultimate customer, right now! Who is this person… now this is a very important exercise to complete. It is particularly important on the days when you are bummed out because you have a difficult customer and working together is a chore. Do they pay on time, love your style, give you creative freedom, tell their friends… once you can figure out why you enjoy their business you can go after who they are. Remember one of the coolest things on Facebook is that you can advertise and get very specific on your targeting. If you choose to create an ad meant to bring customers to your business and these customers are men age 27 to 25 that live 10 miles from your business that have bought a new house in the last 6 months, you can find them. Personally, that’s a little overwhelming to me, but you really can do this. This “who” profile is important, but the “why” is even more important. You need to get into the head of your ideal customer. Really figure out why they need your product or service. You don’t sell financial planning. You sell the “why” they need financial planning, for example the photo of their entire family on the beach in the Caribbean or a the dream of graduating from college. These are the reasons they’re using your services. Developing your imagery around the “why” and using the targeted demographic information of your ideal customer will magically make them appear. Really, it will! Give it a shot. You need to enjoy working with the people that select your services, otherwise it’s silly to take all of the risks of a business owner, if you can’t stand the people showing up at your door! 1- Create an ideal customer using a current customer as a guide, determine their demographics. 2- Get into their head and figure out “why” they need your product and create your words and imagery to sell your product to them!